Major innovators & influencers join forces to present the next FinTech, Digital & Space disruptions to come on May 9th and 10th. Strategically located in the heart of Europe, ICT Spring Europe 2017 will gather more than 5,000 key decision makers in IT, finance, banking, space, web, manufacturing and marketing, as well as investors, entrepreneurs, and start-ups from over 70 countries, on May 9thand 10thin Luxembourg. The organizers of ICT Spring Europe 2017 announced several guest speakers involved in this year's conferences including high level decision makers from NASA, Warner Bros Digital, ESA, Ubisoft, Airbus Safran Launchers, J.P Morgan, Rabobank, Forbes, CERN, SNCF and also national officials such as Xavier Bettel (Prime Minister and Minister for Communications and Media of the Government of the Grand Duchy of Luxembourg) and Etienne Schneider (Vice-Prime Minister and Minister of Economy). We live in a connected world where digital technologies keep revolutionizing the financial sector. Blockchain and new banking pioneers, are more than ever a burning topic. Are companies ready to implement this new process in order to reduce their costs, tax fraud and to increase security and reliability? InsurTech, RegTech and FundTech are just some of the other combinations that are currently redefining entire industries. What are the latest billing and payments technologies? What are the newest RegTech trends? This FinTech Summit will bring together seasoned and top-notch experts for both the finance and technology sectors. To discuss these FinTech topics, Harrie Vollard (Head of Innovation & FinTech, Rabobank), Kim Fuglsang (Head of MobilePay Operational Excellence, Danske Bank), Daniel Drummer (VP Fintech Strategy & Partnerships, J.P. Morgan), Matteo Carbone (Founder and Director, Connected Insurance Observatory), Nicolas Mackel (CEO of Luxembourg for Finance), Nadia Manzari (Head of Innovation, Payments, Markets Infrastructures and Governance, CSSF), Nasir Zubairi (CEO, Luxembourg House of Financial Technology), Pascal Rogiest (CEO, Luxtrust), Jonathan Prince (Co-founder, DigiCash Payments), Sarah Khabirpour (‎Head of Strategy, Regulatory Affairs & MarCom, BIL) will gather in Luxembourg for a unique conference. From Ubisoft to Forbes, digital solutions are hitting every single industry, from mobility to entertainment. It plays an essential role in our society and is forcing all sectors to upgrade and reinvent themselves. Virtual reality which allows us to have a unique immersive experience, is now starting to establish itself in numerous sectors and is becoming an important marketing tool. And with the rise of new technologies, customers' expectations can finally become real. On May 9th and 10th, local and international experts Olivier Schaack (Art Director, Canal+), Anne-Claire Le Conte (former Studio Marketing Manager at the Walt Disney Company), Jean Rognetta (Editorial Director, Forbes France), Emmanuel Vivier (Co-founder of the HUB Institute), Bernard Michaux (SAMSA Film), Georges Mohmmed-Chérif (CEO, Buzzman), Jo Bertram (Head of Northern Europe, Uber), will notably discuss the future of video & movies, the impact of VR, Blockchain and the Internet of Things on their industries, and will also focus on content relevance, storytelling and the importance of customer experience. Dealing with massive amounts of Data, the rise of Algorithms and the need for Cybersecurity are some of the main trends CIOs keep a close eye on around the world. Cyberattacks are more and more common and companies are being forced to adopt an information security policy to protect their data and the role of CIO is constantly being redefined. Moreover, these trends, along with machine learning, automation and artificial intelligence are completely reinventing manufacturing, one of Luxembourg's historical industries. What are the main threats and opportunities? How can operational excellence be achieved? What's new in AI? These sessions will bring together Paul Schockmel (Vice-President Strategy, Business Development and Marketing, IEE), Raja Chatila (Research Director, CNRS, ISIR - Institute of Intelligent Systems and Robotics), Dr. Robert Plana (Director, Innovation and Ecosystem, GE Digital), Jaap Zuiderveld (VP EMEAI, NVIDIA), Rohitashwa Pant (Vice President, KUKA AG) and many more. In a world where productivity and profit are the top priority, companies must learn how to minimize their costs and waste. Digital transforms all sectors of the economy forcing industrial companies to adapt quickly to change. Not being able to keep up with the new technologies will end up with decline in the near future. Following the success of last year's Space Forum and with the multiplication of space initiatives launched by the Luxembourg government, the organizers have invited experts from some of world's biggest companies and agencies of the space industry: Airbus Safran Launchers, Arianespace, NASA, ESA, and much more. To discuss mobility, mobile internet, planetary defense, space mining, exploration, data and space innovation in general, Sam Scimemi (Director for International Space Station (ISS), NASA Headquarters), Pete Worden (former Director of NASA Ames Research Center), Jean-Jacques Dordain (former Director of ESA and advisor of spaceresources.lu), Jacques Breton (Senior VP, Sales & Customers, Arianespace), Peter Frans Pauwels (Co-founder of TomTom), Dr. Patrick Michel (Research Director, CNRS), Chris Lewicki (President & CEO, Planetary Resources) and Steve Collard (CEO, O3b Networks) will meet in Luxembourg next May. The spatial sector is of paramount importance in the high-tech industry. Its crucial challenge is the speed of data highways as well as securing the cyberspace. Technological innovations are required for this growing sector because of the importance of spatial telecommunication on earth. 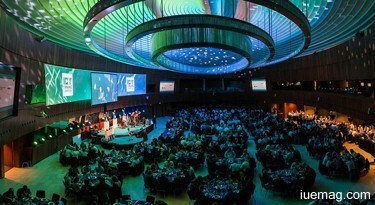 During these two days of knowledge sharing, participants will also be able to discover the latest technological and ICT innovation through the alleys of the European Convention Center Luxembourg, and to exchange with their peers to build strong relationships and partnerships with visionary decision makers and investors. 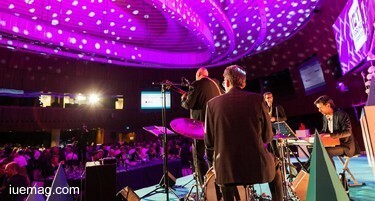 As part of the worldwide ICT community, the aim of ICT Spring Europe is to encourage emulation and networking between CIOs, innovation managers, start-ups, researchers and venture capitalists on a European scale: 500 guests are expected on the evening of the first day of the conference (May 9th) for the European ICT Awards Dinner and Ceremony. Its aim is to reward the best practices in the ICT field. ICT Spring is a Global Tech Conference hosting an array of International Professionals. This two-day yearly event is held in Luxembourg City, at the heart of Europe, and offers the participants a unique opportunity to deepen their Digital Knowledge, capture the Value of the fast-growing FinTech Industry, and explore the impact of Space Technologies on Terrestrial Businesses, through exhibitions and demonstrations of the latest Tech Trends and Innovations. ICT Spring is also the perfect place to network with peers and future business partners. The 2017 edition of ICT Spring organized by Farvest Group, the leading marketing & events agency in Luxembourg. The iUeMagazine team is delighted to work with ICT Spring Europe 2017 as Online Media Partners & is expected to bring Unlimited Inspiration for all readers from the proceedings of this event. Staying tuned to the enriching updates from this event is recommended. Any facts, figures or references stated here are made by the author & don't reflect the endorsement of iU at all times unless otherwise drafted by official staff at iU. This article was first published here on 5th April 2017.